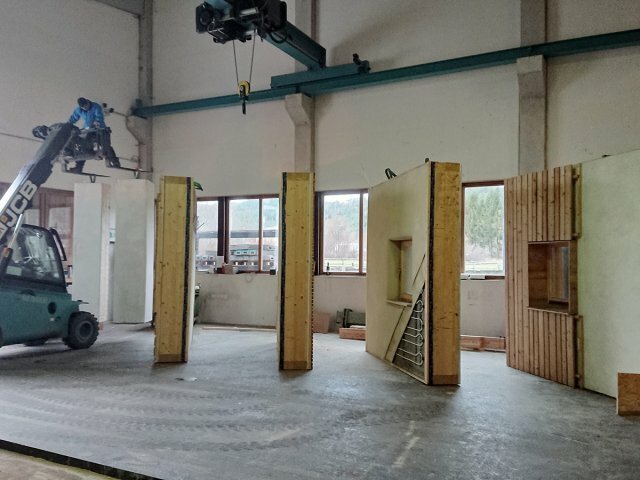 The building system was applied for the first time at the end of 2018 in Pernitz, Lower Austria. 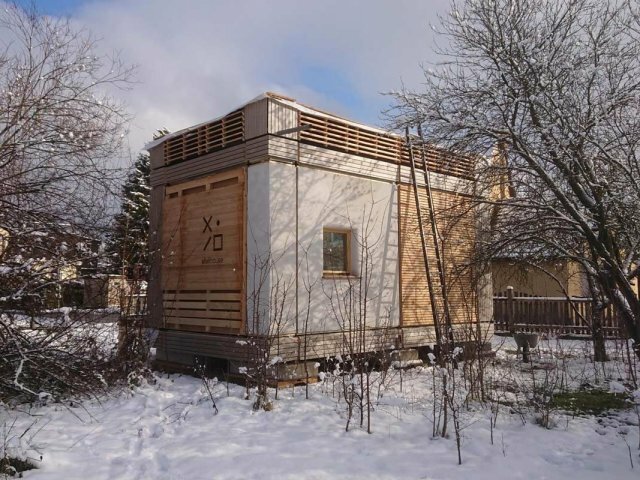 The construction elements were prefabricated by the vivihouse team and the asbn with architecture students from the TU Vienna in a building workshop and assembled with the help of the resident Berger carpentry (see News The first vivihouse unit has been built). In late summer of 2019, the vivihouse prototype will be set up in Vienna as a three-storey pavilion and presented to the public for the first time. This will enable many people to experience the qualities of ecological materials and their suitability for the city on a one-to-one basis addressing target groups – even for a possible realisation in the context of the International Building Exhibition IBA Vienna. For this to succeed, additional construction elements have to be manufactured (see News Documentation of our first four facade elements). For their production, the vivihouse team is looking for further sponsors and partner companies who identify themselves with the idea of ecological construction in multi-storey buildings and is looking forward to requests for cooperation or visits, comments or feedback on the project. Participation in upcoming construction workshops is also possible.